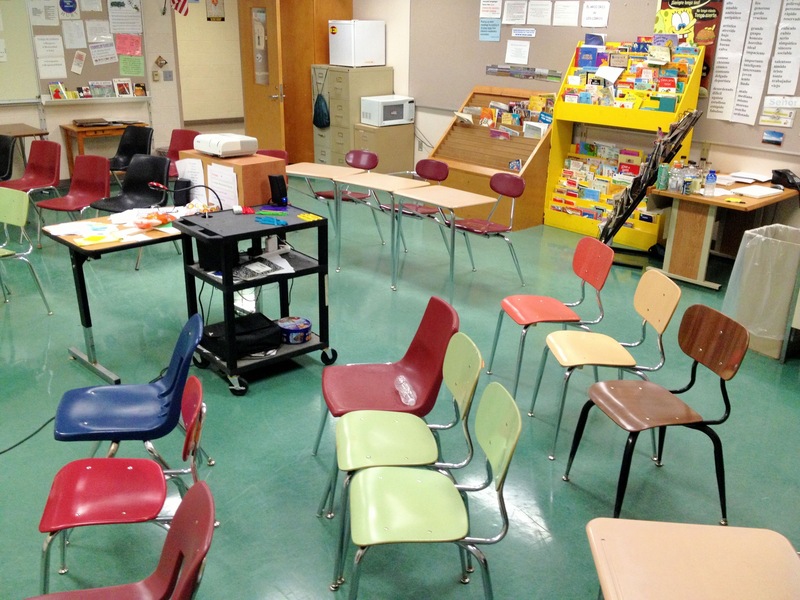 During the summer at the iFLT conference and from reading blogs, I had an A-ha moment: get rid of my desks. So I decided a couple weeks ago to do just that: get rid of my desks. I have just chairs in my classroom (I kept 4 desks) and with the first few weeks of school done, I am glad that I made the switch. I was a little nervous with how my students would react but it has been quite positive. I am glad that I kept 4 desks for the students who like having desks. 95% of my students really like it. The remaining 5% are content in the 4 desks that I still have. I am having much better participation, more interaction, more conversations, and a better classroom atmosphere with no desks. 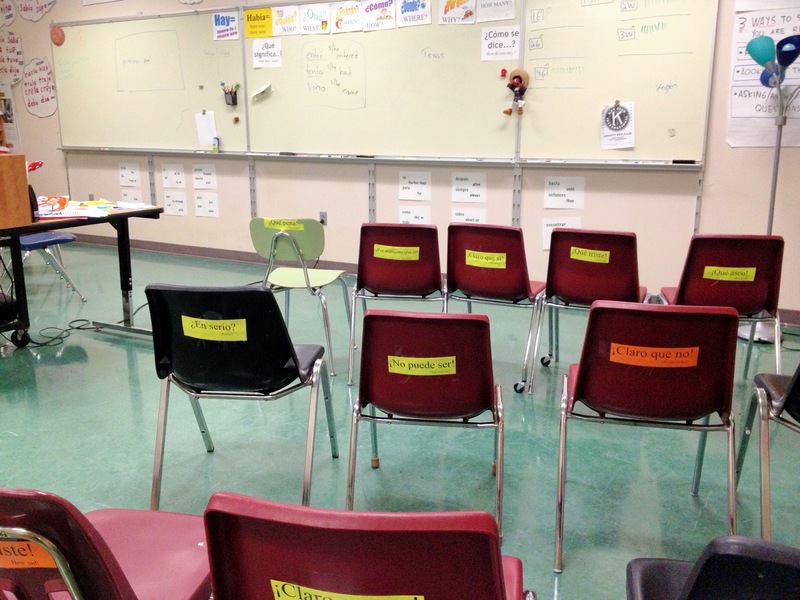 My classroom finally matches my goals for the class and it matches my teaching style/method. Have you continued this throughout the year or did you give up on it? If you continued do you have any management tips? I would like to give “no desks” a trial in my elementary classroom so I am combing the internet for articles, research and experience. Thanks for any help you can offer.